The pitch was to create a customizable presentation tool. Sales-people could create a rich visualization of an arbitrary package's journey. The presentation would take the form of a stylized map of the world, where we would fly from port to port, to the client's intended destination. 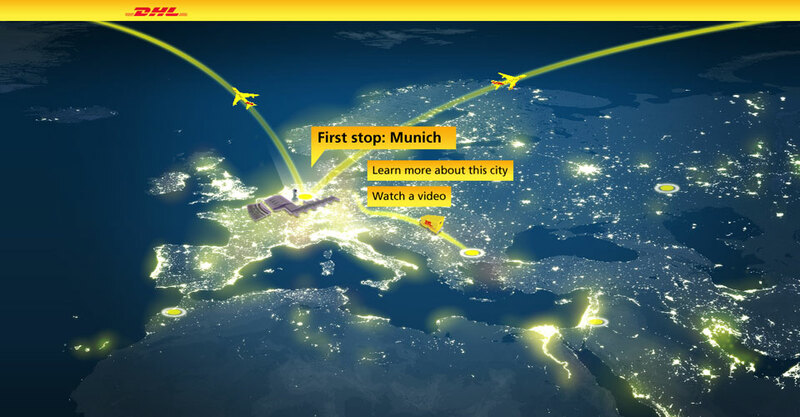 Every step of the package's journey would be interactive, and rich in relevant content. 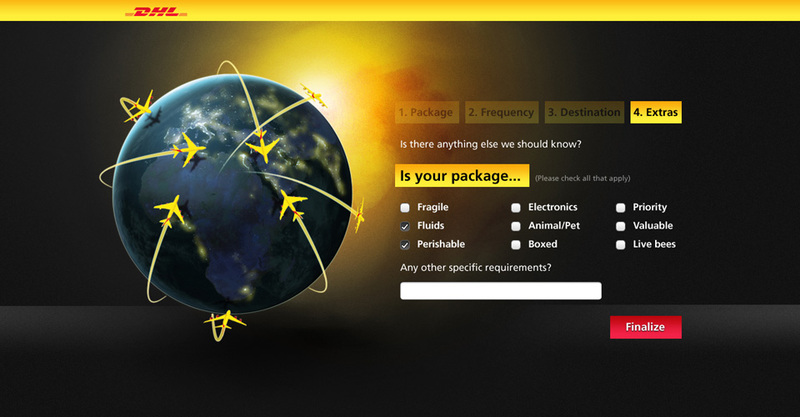 Pitch comps for DHL, the world-wide shipping company.